Bank of Thailand Governor Dr Prasarn Trairatvorakul: Inflation and public debt will have an impact on all aspects of the economy. BoT Governor Dr Prasarn Trairatvorakul said that many of the promises of political parties, aimed at getting high voter support in the July 3 election, may, if kept, cause inflation as well as driving up public debt. Dr Prasarn added that rising inflation and public debt issues could well have an impact on the overall economic stability of the kingdom. Asked which of the two issues is more worrying and would affect the country’s economy more seriously, the governor answered that the two are connected and would affect the economy equally. Pulling his punches, however, he said that the matter should not be of great concern right now as no populist policies will be implemented until a new government is in power and announces specifics of its plans. His concerns are backed by the World Bank. World Bank Senior Economist for Thailand Kirida Bhaopichitr said she was concerned that promises to increase people’s income and invest in infrastructure projects would stimulate domestic spending and might trigger rising inflation. But Ms Kirida, too, pulled her punches, saying she believes that whichever party forms the new government – whatever its election promises – will remain fiscally responsible. She noted that Thailand has always lent importance to avoiding large budget deficits and public debt; any government that allowed such problems would end up with its image tarnished. The economist suggested that specific target groups should be set for each policy aimed at assisting people; failing that, there would be a vast amount of directionless budget spending. She gave as an example the Village Fund, which, she said, should focus on the grassroots. Another World Bank economist in Thailand, Frederico Gil Sander, admitted that the inflation rate in Thailand is on a continuously rising trend since the current government began gradually cancelling the policy of pinning prices of consumer products and diesel. 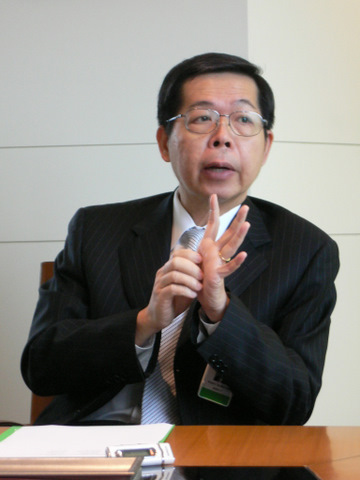 However, he said, the Bank of Thailand should be able to control the inflationary pressure. The World Bank predicts the Thai economy will grow this year by 3.7 per cent. In the first quarter growth was higher than expected but it slowed in the second quarter following the twin disasters in Japan.